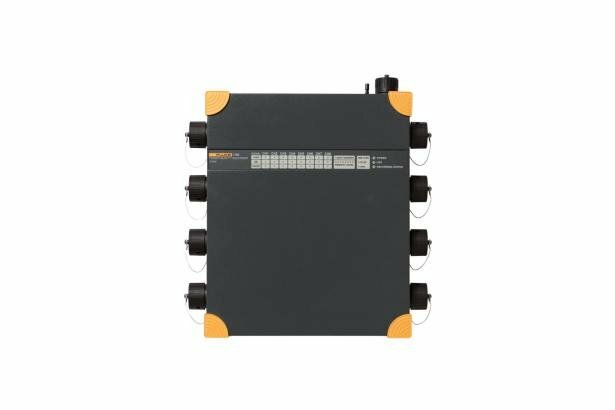 The Fluke 1760 Three-Phase Power Quality Recorder is fully compliant to IEC 61000-4-30 Class-A, for advanced power quality analysis and consistent compliance testing. Designed for analysis of utility and industrial power distribution systems, in medium- and low-voltage networks. The Fluke 1760 provides exceptional flexibility with the ability to customize thresholds, algorithms, and measurement selections. The 1760 power recorder captures the most comprehensive details on user-selected parameters; the supplied PQAnalyze application software enables users uses the in depth measurement and produce sophisticated analysis and reports. Detailed disturbance analysis – Perform high-speed transient analysis and uncover root cause of equipment malfunction for later mitigation and predictive maintenance. The fast transient option, with its 6000 V measurement range, allows capture of very short impulses such as capacitor switching and lightning strikes. Class-A quality-of-service compliance – Validate incoming power quality at the service entrance. Thanks to Class A compliance, the Fluke 1760 allows undisputable verification. The Fluke 1760 Class A compliance has been independently verified at a world leading power quality laboratory. Event correlation at multiple locations – Utilizing GPS time synchronization, users can quickly detect where a fault occurred first, either inside or outside the facility. The accuracy of this time-stamping enables users with multiple 1760s on their network to understand the propagation of events across the network. Triggered recordings rms Aggregation time is adjustable between 10 ms (1/2 cycle), 20 ms (1 cycle), 200 ms (10/12 cycles) or 3 sec (150/180 cycles). Power LED Permanent light: normal power supply from mains.